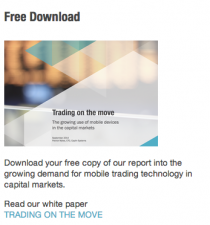 Are regional banks ready to offer mobile trading? Top tier banks have been offering mobile solutions to their institutional clients for a while now, ranging from research and indicative pricing, through to enabling clients to manage existing and in some cases placing new orders. With early compliance and security concerns having been addressed, banks such as Citi and JP Morgan are providing full mobile click and trade functionality. But what about regional banks, what is their attitude towards mobile trading for corporate customers? Here at Caplin, we are certainly seeing interest from a number of regional banks for mobile trading, which now features more prominently, and higher up on the single-dealer platform road-maps of many more banks. This has created a short-term ‘demand – supply imbalance’, and opened a window of opportunity to those regional banks able to move fast and satisfy this excess customer demand, whilst at the same time protecting and gaining market share. 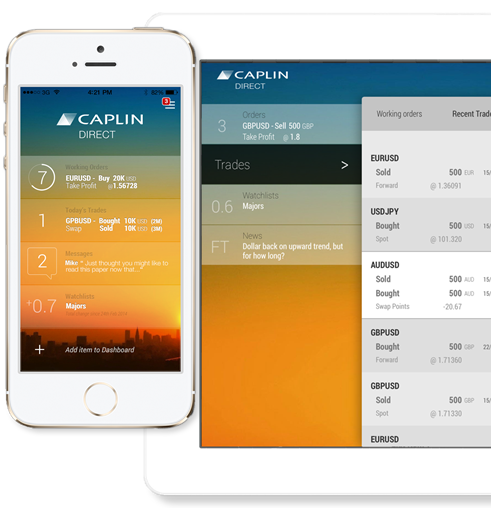 To help regional banks to address this demand-supply imbalance, Caplin has today announced the launch of a new fully managed FX mobile trading SDP, which will enable banks to rapidly deliver a seamless mobile trading capability as part of their Single-Dealer Platform. Indeed, we are now involved in SDP projects that start with mobile FX trading for corporate and institutional clients as the first deliverable solution. As a result, we are enabling our clients to ‘leapfrog’ their regional competitors, whilst empowering their corporate, institutional and internal customers with an ‘always-on’ mobile trading capability, that keeps them in-touch with market developments, and in a position to pro-actively react to market events whilst on the move and away from their desks.